Like many of the early figures in television, Du Mont was involved both in manufacture and broadcasting. 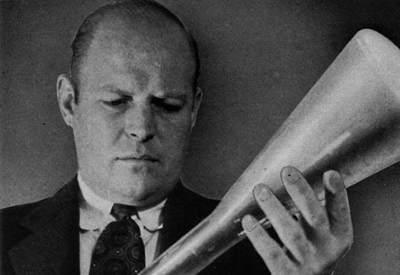 A brilliant inventor, Du Mont began his career by developing improved cathode-ray tubes. He subsequently founded a television network and set up a television-manufacturing company. In the 1930s, Allen B. Du Mont Laboratories competed strongly with RCA (Radio Corporation of America) in the areas of research and development. In 1938, DuMont offered a set with a 14-inch screen, while RCA was only able to release a 12-inch set. Many of the favourite TV shows of the late 1940s and early 1950s appeared on Du Mont’s network, which nonetheless folded in 1955.